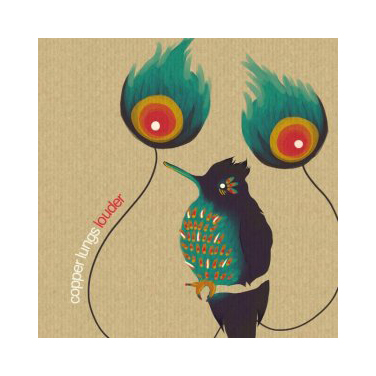 Copper Lungs play anthemic alt-rock that balances precariously on the edge of the indie furrow without teetering over the edge. It’s ambition that sets them apart; clear full-throated vocals that deserve to be sung back at them and infectious duelling guitars that deliver both thundering power chords and tense, winding leads. It’s difficult for Scottish bands at the moment to distinguish themselves on the axis that runs from F’rabbit to Biffy but Copper Lungs are one of the most naturally tuneful of the new-wave and it’s for this reason they’ve already found themselves headlining venues like Broadcast. The anthemic ‘Chasing Lights’ packs some nimble guitar playing, thundering chords can’t redeem the sugariness of ‘My Eyes’ but at least the vocals are impressive. ‘On Board’ features the best squally guitar on the record but someone needs to have a word with the boys about their titles; ‘Believe’, ‘Drive’ and ‘Answer’ are hardly names to set the heart pumping. Just like their moniker, this is sometimes a band of mixed messages but with plenty of solid song craft Copper Lungs have a promising future ahead of them.